Tutti Grille is a large restaurant that doesn’t look out of place amongst the other high street eateries. 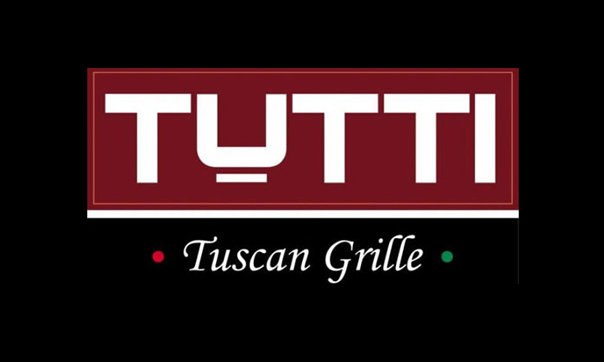 However Tutti is a one off restaurant owned by a former Braintree based company run by Rob & Jules Reeley who have expanded in their area they now live – quite far away in Scotland. A tip that the very helpful manager shared with us is that they frequently run special offers with the cinema just across the road – so one to watch out for. Tuscan Bruschetta and Sun dried Tomato and Basil Soup. All quite hearty and tasty. For mains we had Penne Sicilana – with roasted aubergines, courgettes and peppers in a tomato and garlic sauce. I am quite a saucy person (no funny comments please) and they were happy with my request for more sauce. Hubby had the Funghi pizza and Callum enjoyed the Margarita and again they were happy to hold the cheese and add pineapple too. These pizzas are a great size too. We do like a bit on the side and opted for green beans, garlicky mushrooms and creamed baby spinach and surprisingly we did leave empty plates. We were too full for a desert however the Key Lime Martini and Pomegranate Martini just hit the spot. Good atmosphere, good Tuscan influenced food and rather delicious cocktails too. Well worth a visit. This entry was posted on November 23, 2012 by inspiredessex in Chatty, Dine in Style.